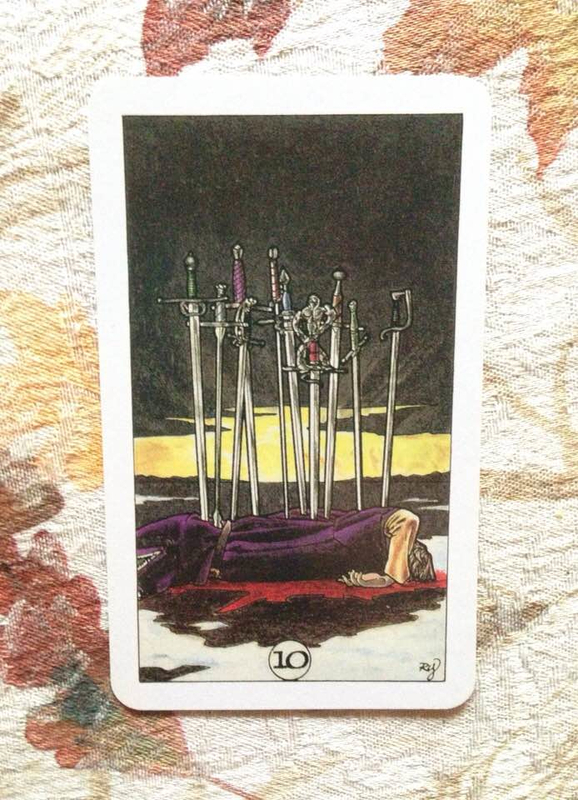 The sadness described yesterday by the Three of Swords continues today. You may feel a heavy burden of depression on your shoulders, possibly due to past issues that continue to haunt you. Destructive habits of thought may be keeping you stuck in a cycle of negativity. But don’t despair - there’s a light at the end of the tunnel. The gloom is about to dissipate and your mood will transform. When you’re feeling better and have more energy, resolve to leave the past behind and move forward free of baggage. It will take time and effort to break the old habits but it’s necessary. Be diligent.